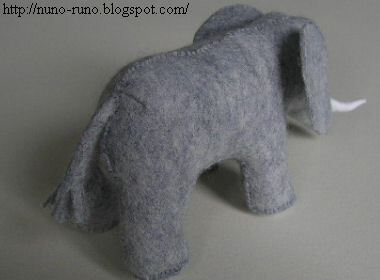 Refer to elephant about sewing. 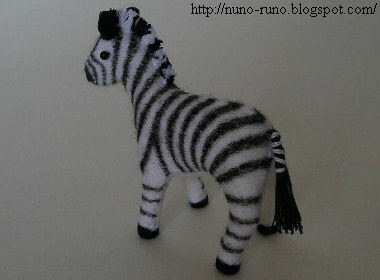 Ears, tail, hoofs and mane. 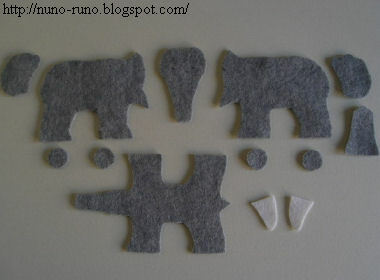 Glue 2 sheets of felt and cut out a circle. 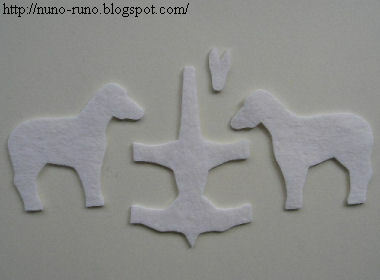 This is a hoof. Ears are almost the same as hamster's. Wind a white thread (double) on the upper of a bunch of black threads. It's a tail. 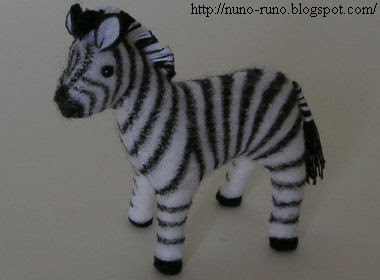 The mane is black and white threads (see pattern image). 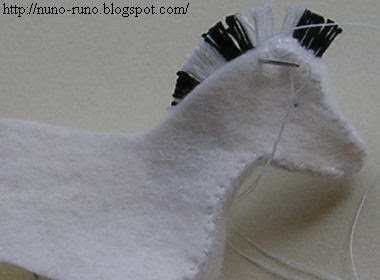 Sew the neck and the mane. 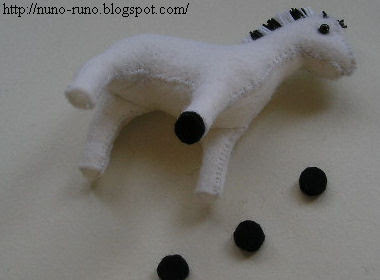 Glue hoofs to the legs after stuffing. 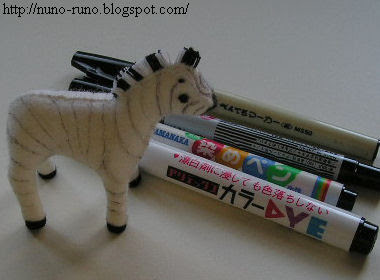 I use oily felt-tip pen and dye pen for painting. 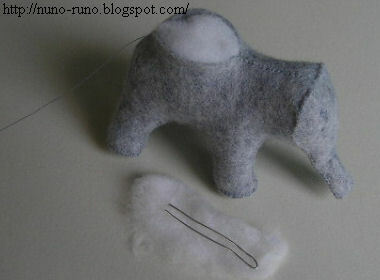 Attach the tail and the ears. 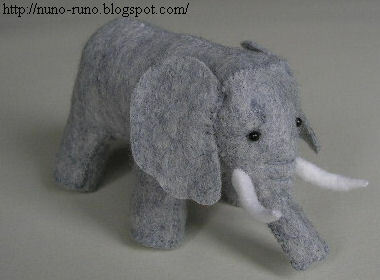 Small stuffed elephant of felt. 6 centimetres. 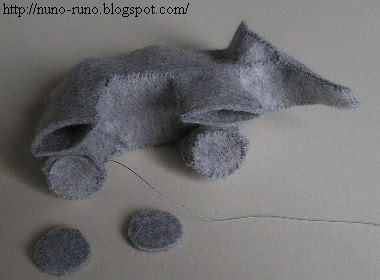 Cut the parts without seam allowance. 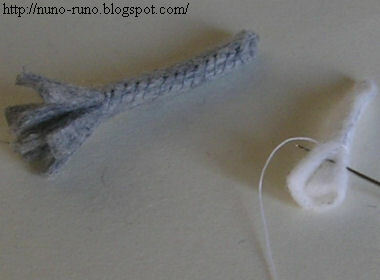 Darts are sewn from inside. 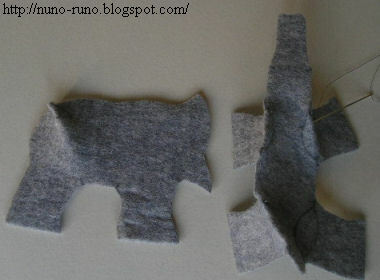 Other seams are sewed outside. You may put a wire wrapped with cotton batting in the nose. 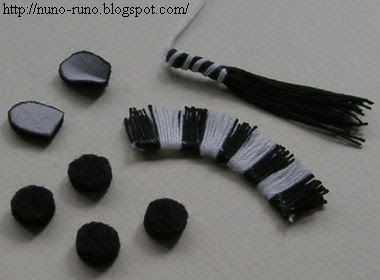 Stitch beads as eyes. 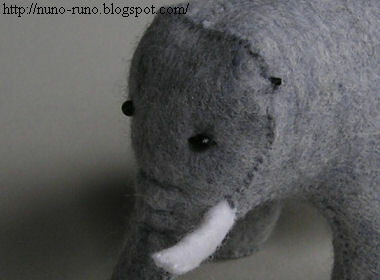 Attach the tusks. Sew the wrinkles of nose. 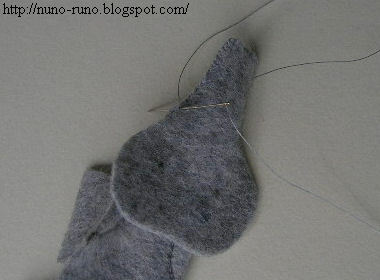 If you are not a novice, add seam allowances and sew from inside. It may look better and be strong.